Eric Buck offers holistic treatment for a range of issues across the spectrum of mental illnesses, including anxiety, depression, executive functioning disorders, and psychosis. In all cases, the goal is healing, happiness and functionality. 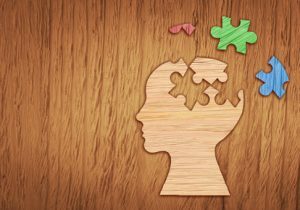 Our Holistic Psychoanalytic Psychotherapy (sometimes called integrative psychotherapy) offers an alternative to medicating with psychotropic medications. Our integrated psychotherapy options can support you in addition to or as an alternative to psychiatry. Eric Buck treats adults, adolescents and couples. Click here to learn more about safely reducing reliance on psychiatric medications, with proper monitoring and support, for a happier and healthier tomorrow. Are you interested in adopting healthy eating habits that will help improve your mental health? Are you interested in understanding how physiological fitness contributes to mental wellness? Click here to learn more about nutritional counseling. Seeking to save or improve your relationship? Click here to find out more about couples therapy with Eric Buck. Do you need help with executive functioning disorders? Click here to learn more. Have you lost your parental authority? Learn about setting limits for your teenager while also offering space for your teenager to assume responsibility. Reach out to Eric Buck and get started today on a happier, healthier tomorrow.